Chris Feudtner, MD, PhD, MPH, is Director of Research for the Pediatric Advanced Care Team at Children's Hospital of Philadelphia. He holds the Steven D. Handler Endowed Chair in Medical Ethics. 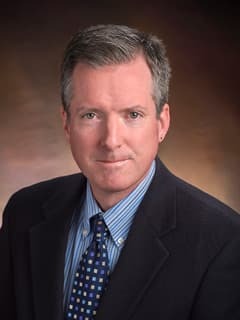 Chris Feudtner is a pediatrician, epidemiologist, historian and ethicist at Children’s Hospital of Philadelphia and the University of Pennsylvania who focuses on improving the lives of children with complex chronic conditions and their families. He is the Director of the Department of Medical Ethics, and holds the Steven D. Handler Endowed Chair of Medical Ethics at CHOP, where he is also the Associate Division Chief for the Division of General Pediatrics and an attending physician and Director of Research for the Pediatric Advance Care Team (which provides palliative, end-of-life and bereavement services) and the Integrated Care Service (which cares for hospitalized children with chronic conditions and technology-dependent healthcare needs). Over the years, he has done a wide variety of research projects and been involved in developing clinical programs while also taking care of pediatric patients, including providing palliative care, as well as providing clinical ethics consultations. Morrison W, Womer J, Nathanson P, Kersun L, Hester DM, Walsh C, Feudtner C: Pediatricians' Experience with Clinical Ethics Consultation: A National Survey. J Pediatr 167(4): 919-924, Oct 2015. Feinstein JA, Feudtner C, Valuck RJ, Kempe A: The depth, duration, and degree of outpatient pediatric polypharmacy in Colorado fee-for-service Medicaid patients. Pharmacoepidemiol Drug Saf 24(10): 1049-57, Oct 2015. Kenyon CC, Palakshappa D, Feudtner C: Logic Models-Tools to Bridge the Theory-Research-Practice Divide. JAMA Pediatr 169(9): 801-2, Sep 1 2015. Humphrey LM, Hill DL, Carroll KW, Rourke M, Kang TI, Feudtner C: Psychological Well-Being and Family Environment of Siblings of Children with Life Threatening Illness. J Palliat Med Sep 22 2015. Brown SD, Feudtner C, Truog RD: Prenatal Decision-Making for Myelomeningocele: Can We Minimize Bias and Variability? Pediatrics 136(3): 409-11, Sep 2015. Baker JN, Levine DR, Hinds PS, Weaver MS, Cunningham MJ, Johnson L, Anghelescu D, Mandrell B, Gibson DV, Jones B, Wolfe J, Feudtner C, Friebert S, Carter B, Kane JR: Research Priorities in Pediatric Palliative Care. J Pediatr 167(2): 467-70, Aug 2015. Wolfe J, Orellana L, Ullrich C, Cook EF, Kang TI, Rosenberg A, Geyer R, Feudtner C, Dussel V: Symptoms and Distress in Children With Advanced Cancer: Prospective Patient-Reported Outcomes From the PediQUEST Study. J Clin Oncol 33(17): 1928-35, Jun 2015. Dussel V, Orellana L, Soto N, Chen K, Ullrich C, Kang TI, Geyer JR, Feudtner C, Wolfe J: Feasibility of Conducting a Palliative Care Randomized Controlled Trial in Children With Advanced Cancer: Assessment of the PediQUEST Study. J Pain Symptom Manage 49(6): 1059-69, Jun 2015. Smith AG, Andrews S, Bratton SL, Sheetz J, Feudtner C, Zhong W, Maloney CG: Pediatric palliative care and inpatient hospital costs: a longitudinal cohort study. Pediatrics 135(4): 694-700, Apr 2015. Ragsdale L, Zhong W, Morrison W, Munson D, Kang TI, Dai D, Feudtner C: Pediatric Exposure to Opioid and Sedation Medications during Terminal Hospitalizations in the United States, 2007-2011. J Pediatr 166(3): 287-93, Mar 2015. Dingfield L, Bender L, Harris P, Newport K, Hoover-Regan M, Feudtner C, Clifford S, Casarett D: Comparison of pediatric and adult hospice patients using electronic medical record data from nine hospices in the United States, 2008-2012. J Palliat Med 18(2): 120-6, Feb 2015. Feudtner C, Walter JK, Faerber JA, Hill DL, Carroll KW, Mollen CJ, Miller VA, Morrison WE, Munson D, Kang TI, Hinds PS: Good-parent beliefs of parents of seriously ill children. JAMA Pediatr 169(1): 39-47, Jan 2015. Feinstein J, Dai D, Zhong W, Freedman J, Feudtner C: Potential Drug-Drug Interactions in Infant, Child, and Adolescent Patients in Children's Hospitals. Pediatrics 135(1): e99-e108, Jan 2015. Berry JG, Hall M, Neff J, Goodman D, Cohen E, Agrawal R, Kuo D, Feudtner C: Children with medical complexity and medicaid: spending and cost savings. Health Aff (Millwood) 33(12): 2199-206, Dec 2014. Womer J, Zhong W, Kraemer FW, Maxwell LG, Ely EA, Faerber JA, Dai D, Feudtner C: Variation of opioid use in pediatric inpatients across hospitals in the U.S. J Pain Symptom Manage 48(5): 903-14, Nov 2014. Hill DL, Carroll KW, Dougherty S, Vega C, Feudtner C: Point prevalence study of pediatric inpatients who are unable to communicate effectively about pain. Hosp Pediatr 4(6): 381-6, Nov 2014. Kelm Z, Womer J, Walter JK, Feudtner C: Interventions to cultivate physician empathy: a systematic review. BMC Med Educ 14(1): 219, Oct 2014. Rosenberg AR, Orellana L, Kang TI, Geyer JR, Feudtner C, Dussel V, Wolfe J: Differences in parent-provider concordance regarding prognosis and goals of care among children with advanced cancer. J Clin Oncol 32(27): 3005-11, Sep 2014. Kang TI, Munson D, Hwang J, Feudtner C: Integration of palliative care into the care of children with serious illness Pediatr Rev 35(8): 318-25; quiz 326, Aug 2014. Feudtner C, Freedman J, Kang T, Womer JW, Dai D, Faerber J: Comparative effectiveness of senna to prevent problematic constipation in pediatric oncology patients receiving opioids: a multicenter study of clinically detailed administrative data J Pain Symptom Manage 48(2): 272-80, Aug 2014. Feudtner C, Feinstein JA, Zhong W, Hall M, Dai D: Pediatric complex chronic conditions classification system version 2: updated for ICD-10 and complex medical technology dependence and transplantation. BMC Pediatr 14: 199, Aug 2014. October TW, Fisher KR, Feudtner C, Hinds PS: The parent perspective: "being a good parent" when making critical decisions in the PICU. Pediatr Crit Care Med 15(4): 291-8, May 2014. Wolfe J, Orellana L, Cook EF, Ullrich C, Kang T, Geyer JR, Feudtner C, Weeks JC, Dussel V: Improving the care of children with advanced cancer by using an electronic patient-reported feedback intervention: results from the PediQUEST randomized controlled trial. J Clin Oncol 32(11): 1119-26, Apr 2014. Hill DL, Miller V, Walter JK, Carroll KW, Morrison WE, Munson DA, Kang TI, Hinds PS, Feudtner C: Regoaling: a conceptual model of how parents of children with serious illness change medical care goals. BMC Palliat Care 13(1): 9, Mar 2014. Bona K, Dussel V, Orellana L, Kang T, Geyer R, Feudtner C, Wolfe J: Economic impact of advanced pediatric cancer on families. J Pain Symptom Manage 47(3): 594-603, Mar 2014. Feudtner C, Nathanson PG: Pediatric palliative care and pediatric medical ethics: opportunities and challenges. Pediatrics 133 Suppl1: S1-7, Feb 2014. Feudtner C, Womer J, Augustin R, Remke S, Wolfe J, Friebert S, Weissman D: Pediatric palliative care programs in children's hospitals: a cross-sectional national survey. Pediatrics 132(6): 1063-70, Dec 2013. Rosenberg AR, Dussel V, Kang T, Geyer JR, Gerhardt CA, Feudtner C, Wolfe J: Psychological distress in parents of children with advanced cancer. JAMA Pediatr 167(6): 537-43, Jun 2013. Hexem KR, Miller VA, Carroll KW, Faerber JA, Feudtner C: Putting on a happy face: emotional expression in parents of children with serious illness. J Pain Symptom Manage 45(3): 542-51, Mar 2013. Renjilian CB, Womer JW, Carroll KW, Kang TI, Feudtner C: Parental explicit heuristics in decision-making for children with life-threatening illnesses. Pediatrics 131(2): e566-72, Feb 2013. Kang TI, Hexem K, Localio R, Aplenc R, Feudtner C: The use of palliative chemotherapy in pediatric oncology patients: A national survey of pediatric oncologists. Pediatr Blood Cancer 60(1): 88-94, Jan 2013. Feudtner C. The Bittersweet Transformation of Diabetes: A Paradigm of Chronic Illness Change in Modern America. University of North Carolina Press, 2015. Chris Feudtner: Bittersweet: Diabetes, Insulin, and the Transformation of Illness. Chapel Hill, NC. University of North Carolina Press, May 2003. Feudtner C. Pathway to health: juvenile diabetes mellitus and the origins of managerial medicine. In The Formative Years: Childhood Health and Health Care 1880-2000. Stern A, Markel H (Eds.). 2002, University of Michigan Press, Ann Arbor, Michigan.